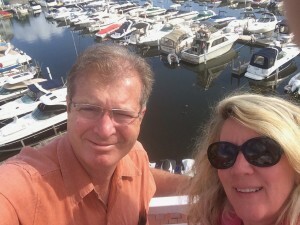 For rooftop coffee, go to Marina Grand Resort in New Buffalo, Michigan. Inside the entrance you will find Joe’s Coffee Market. Take your coffee and made from scratch goodie to the elevator around the corner. Push the “R” button for rooftop. You can still see perfect views of the marina. They have not pulled the boats out yet. Smile and relax because this is good for you. The journal Annals of Internal Medicine published an entertaining study July 2017, citing the many benefits of coffee. Thanks for sharing this post. My wife-to-be and I are heading up to the Marina Grand after our wedding and we were wondering about rooftop spots.